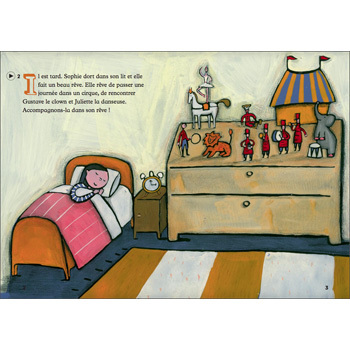 This is a Level 1 book in the ELI Young French Readers series. Follow Sophie into her dream as she spends the day at a circus. 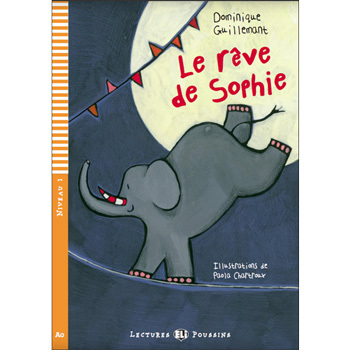 Le rêve de Sophie is aimed at young French beginners who are able to read short stories in French with up to 100 words. An audio CD is included, featuring the full story read by a native speaker and there are word games & exercises at the end of the story to check comprehension. 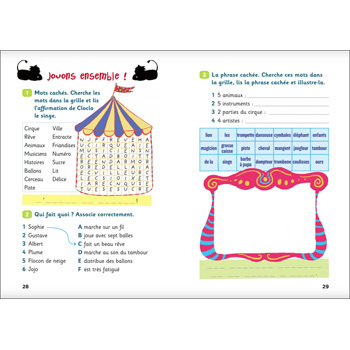 The ELI Young French Readers series is divided into 4 levels which are graded according to the number of headwords used. Beautifully illustrated, these readers are accompanied by an audio-CD featuring the story read by a native speaker. Each title includes 5 pages of revision exercises and fun activites, as well as a mini picture dictionary on the inside cover of each book to allow the pupil to easily access the vocabulary needed. ELI Young French Readers: Level 1 - Vive les vacances !